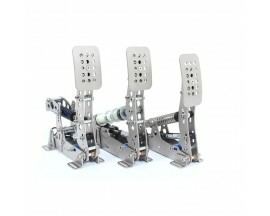 When operating our range of Sim Pedals near their maximum force capability, they need a very sturdy mount to your rig. If you want to mount your pedals to a baseplate first instead of mounting them individually, our Sim Pedals Baseplate is your product of choice. 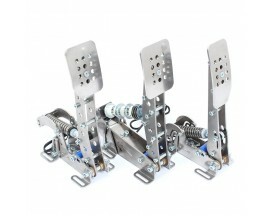 This is an optional product when ordering a set of Sim Pedals Pro or Sim Pedals Ultimate. With the brake of the Pro Pedals being able to cope with 55kg of force, and the brake of the Ultimate Pedals being able to cope with up to 136kg of force, standard rigs often show excessive flex under these loads. 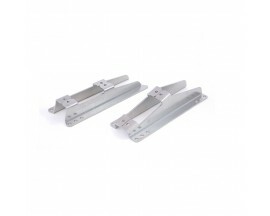 This baseplate helps to create a rigid mounting platform for your pedals. The baseplate assembly consists of multiple elements: The main baseplate on which you mount the pedals, as well as two brackets which create ground clearance for the pedal bolts and nuts and provide mounting space for the pedal controller. 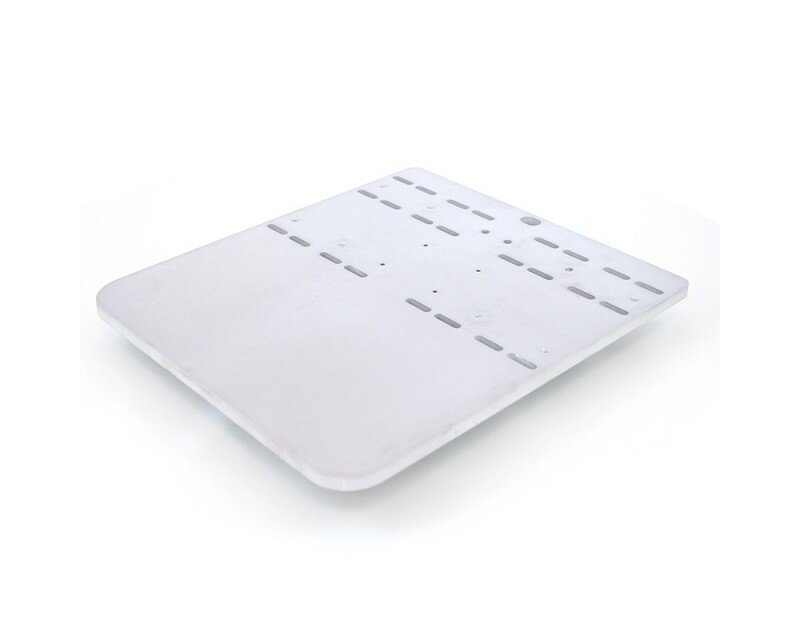 The main baseplate element is 10mm thick and will show zero flex under maximum load. Depending on your rig, you have the option to choose the straigth/parallel brackets or angled brackets. The angled brackets are specifically designed for rigs which come with a proprietary pedal mounting plate which is inclined towards the seat. Our angled brackets tilt the Sim Pedals Baseplate by 15 degrees. This offsets the default plate inclination from your rig creating a horizontal mounting platform for your Sim Pedals. 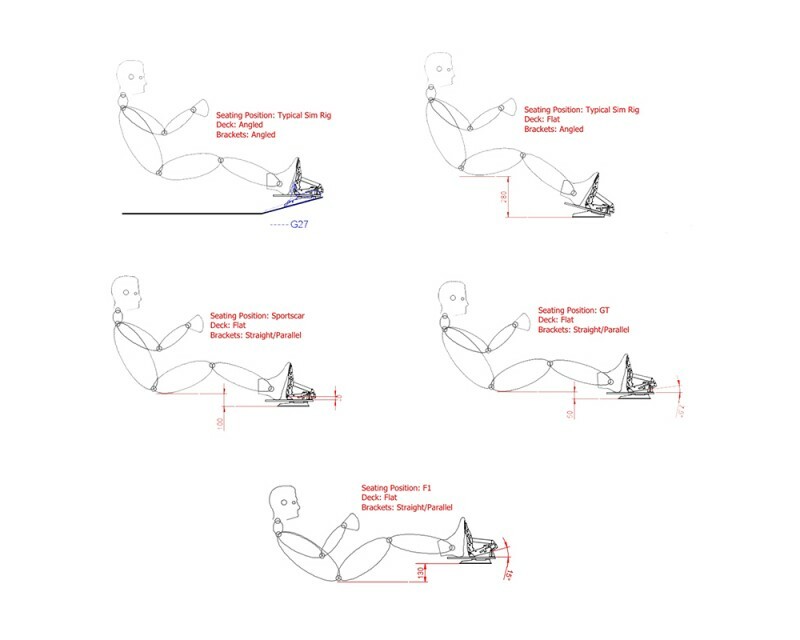 If your rig has an angled pedal deck, this will also elevate the position of the pedals, enhancing ergonomics and resulting in a more realistic driving position where the pedal box and seat are at a more level position relative to eachother. 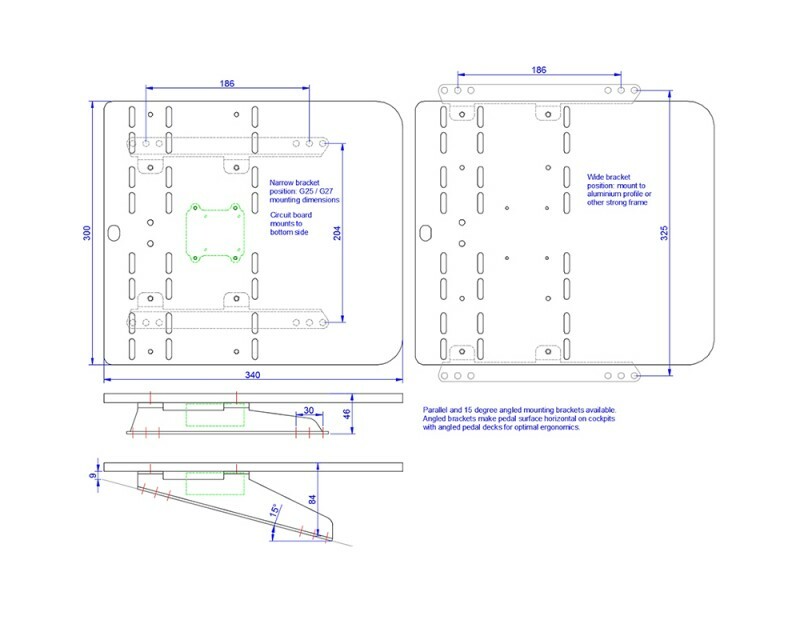 The images below show both types of brackets, as well as a schematic showing various seating positions and the appropriate bracket type. Our angled brackets tilt the Sim Pedals Baseplate by 15 degrees. This offsets the default plate inclination from your rig creating a horizontal mounting platform for your Sim Pedals. 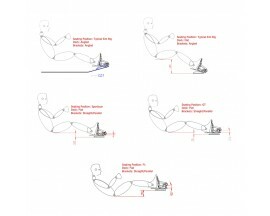 In most cases, this will also elevate the position of the pedals, enhancing ergonomics and resulting in a more realistic driving position where the pedal box and seat are at a more level position relative to eachother. Both sets of brackets are compatible with G25/G27 mounting holes, allowing for easy installation on many available simulator rigs. 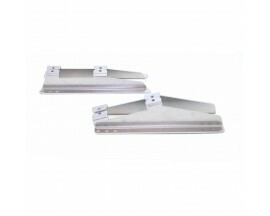 Alternatively, the brackets can also be mounted to the side of the baseplate in a wider layout. 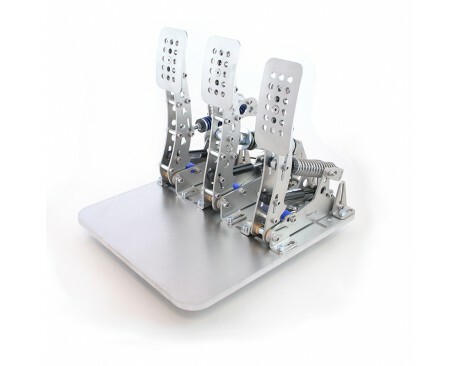 The Sim Pedals Baseplate is suitable for both our Sim Pedals Pro and Sim Pedals Ultimate using one generic design (Sim Pedals RaceCenter Edition is not supported). If you decide to upgrade from our Pro pedals to our Ultimate pedals, you will be able to use the same baseplate. Every baseplate comes with a set of bolts and nuts to attach the pedals to the baseplate and mount the baseplate to your rig. Next to mounting holes for your pedals, every baseplate also features slots to position the Sim Pedals USB-controller.